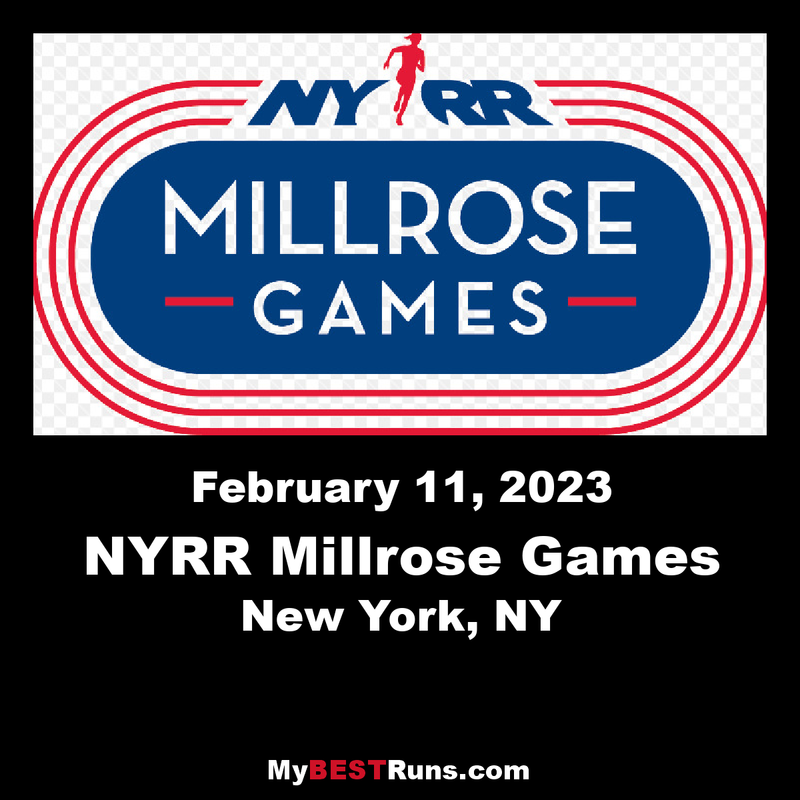 The NYRR Millrose Games,which began in 1908 as a small event sponsored by a local track club, has grown to become the most prestigious indoor track and field event in the United States. The NYRR Millrose Games meet is held in Manhattan’s Washington Heights at the New Balance Track & Field Center at the Armony, which boasts a state-of-the-art six-lane, 200-meter Mondo oval that’s earned the nickname “The Fastest Track in the World.” The meet brings the best professional, college, and high school athletes to New York City for an electrifying event that features dazzling and record-setting performances year after year. In 2014, New York Road Runners (NYRR) became the title sponsor of the Millrose Games. This sponsorship derived from the community running organization’s long-standing partnership with the Armory. NYRR fosters year-round Armory running programs that serve thousands of students, amateur and professional athletes, and other runners of all ages. NYRR is also a key presenter of more than 10 core events during the indoor track season, including the New York Collegiate Invitational, which boasts the best runners from more than 100 universities around the world, and the Armory College Prep program, which provides academic support and counseling to more than 300 high school athletes. NYRR Millrose Games events include the NYRR Wanamaker Mile, with a full schedule of events.